When I think of Thanksgiving, I get all warm inside. 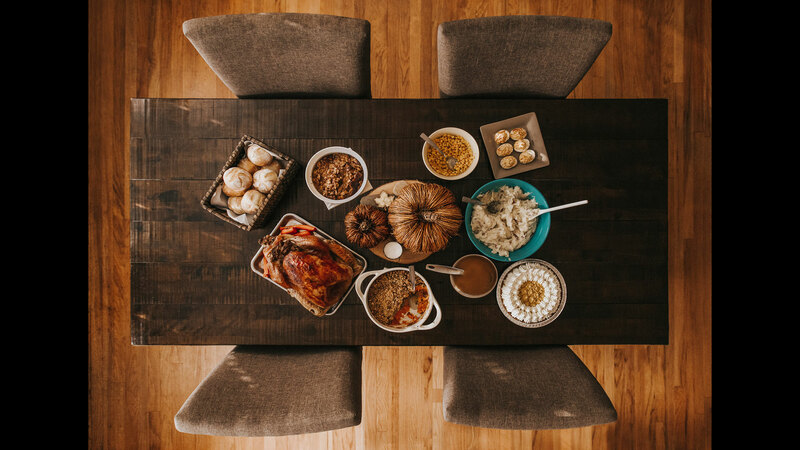 The turkey, stuffing, cranberries…it’s an amazing feast! This photo by slingblade_2004 captures the holiday beautifully and shows the communal table in its glory. The color here is spot-on with the fall season. And everything is almost too perfect to eat!